Currently in production as a ground-attack/trainer for the RAF, the Hawk is the latest in a long line of Hawker aircraft designed and built for the Service. Underwing stores and a centreline gunpack are included in this finely detailed kit. 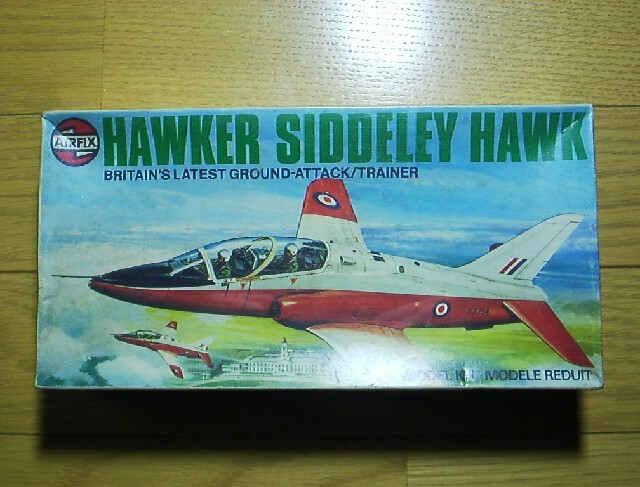 1982 Edition Catalogue was the first appearance as the Red Arrows Hawk.